Bottled water quality without the bottle. You’ll enjoy deliciously fresh drinking water all the time with one of our reverse osmosis systems. And with RainSoft drinking water purification systems, there are no heavy bottles to lug or deliveries to schedule. Just turn on the faucet and enjoy. You’ll also be doing the environment a favor! Coffee, tea, ice, soups, juices…you name it! Anything made with water from RainSoft home water filtration systems will taste noticeably better. So will your prepared foods. After all, water is the number one ingredient in your kitchen. 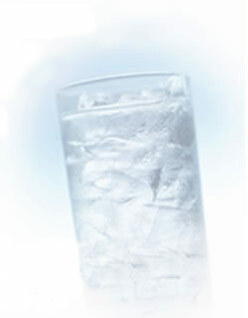 You’ll taste the difference every time you use water from your RainSoft drinking water system. Ultrefiner reverse osmosis water systems are RainSoft’s premier drinking water system. Using advanced RO technology, the Ultrefiner provides highly polished drinking water that filters out smaller particles that can be missed by less refined drinking water systems.